As the Drone technology was first introduced, it was very much about taking pictures and shooting videos. The technology was a big boost for the entertainment industry. However, today we have come ahead of that where drones were specifically for entertainment, as now the technology has been widely embraced for its ability to perform a variety of other meaningful and significant tasks. Today, drones are seen as a mean to automate tasks in several industries, be it construction, real estate, disaster management, photography, or agriculture. It is just everywhere and performing some wonderful actions. Needless to say, this has had a huge impact on the demand of drone applications and custom drone controlling mobile app development solutions, and business which is keen on employing drone technology, are looking worldwide for the brilliant drone app developers, who can create a sophisticated drone application, which very well understands their business requirements and serve just what they desire and require to enhance their business. Taking a step backwards, originally Drone was applied to the pilot less airplanes. However, in today’s times, it has a completely different meaning with Drone being a buzzword referring to any of the contemporary UAVs (Unmanned Aerial Vehicles), or say Unmanned Systems. A quad-copter is also something it is referred as, with it being a multi-rotor helicopter that’s lifted & propelled by the four rotors. Going back in history, it was in the year 1915 that A.M. Low made an attempt in the form of ‘Aerial Target’ as a powered UAV. Ever since then, developments were made constantly and eventually the military force of several countries conformed UAV usage for Defence and for attacks. Now, the drone has further evolved to a level that apart from its usage in the military for security, UAVs reduced to a size of this handy equipment – drone, are being used for Civil and even commercial purposes. In fact, in present times, Drones have become greatly popular in mobile apps for various areas, like Search & rescue, journalism, science, and agriculture. The device is immensely useful for reports in the case of live sports, event coverage, heavy traffic, natural disasters, and surface mapping. Not just government, civil and commercial industries, but even common people themselves are using the drone as a hobby or for entertainment reasons. As per the research conducted by IBIS World, at present, the drone industry is worth $3.3 billion and as per AngelList, drone startups have successfully garnered $1.9 billion in just the venture capital. Gartner has even predicted that by 2020, the Federal Aviation Administration would ship seven million drones to the U.S., which certainly is a steep increase from three million shipped in 2017. Another research states that the commercial drone market would most certainly reach US$13 by the year 2025, whereas by 2020, the North American drone market will expectantly be generating revenues of the US $930 million. Renowned online retailer Amazon will be having a new service in offing, named “Amazon Prime Air”, where it has around 450,000 drones in its delivery fleet by the year 2020. Here, this Statist report has lots of many fascinating statistics on commercial drones. Today drones cost lesser as compared to stand-alone cameras of same picture quality and thus it will not be surprising to see the industry experienced remarkable growth in the coming times. The return in value is just extraordinary here. Drones and custom drone controller applications allow for the creation of entirely new business & operation models, also in industries, which have been still untouched by other latest technological developments. Like, we came across several reports where drones were used to assess the aftermath of Indonesia’s destructive earthquake, then some reported the significance of drones in simplifying the early detection of pipeline leaks. Thus, in many ways, as the drone industry matures, we are constantly moving towards an era of automation. Hence, it is evident that Drone technology has pretty evolved much beyond its military origins and its contribution is proving priceless in lot many industries. However, it is yet just the beginning and we guess there is a lot more to come. Drones are in fact certain massively influences many more markets. 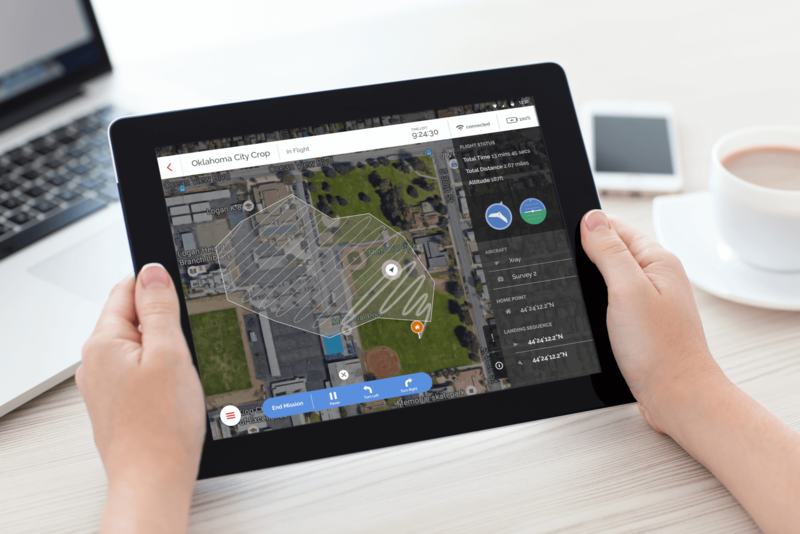 Moreover, this is why more and more businesses are looking to create their own custom drone mobile apps to take full advantage of this pioneering technology. 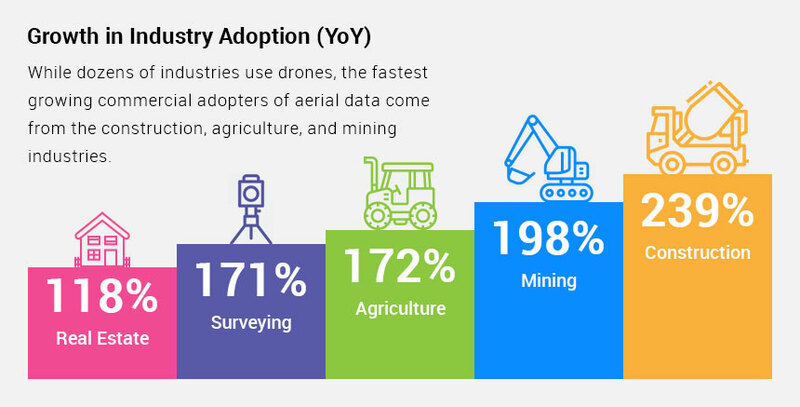 Drone mapping has ENORMOUS prospective for number business verticals including construction, agriculture, mining, infrastructure inspection and real estate. Having a clear, precise photograph or 3D model of your project area, with comprehensive measurements, is valuable data in terms of supervision and decision-making. It was in 2015 that the largest US-based drone manufacturer 3D Robotics launched DroneKit, which is an open-source API for writing drone applications. As the firm has always taken this platform approach, hence DroneKit works with any drone that uses its APM autopilot. Developers are able to write web-based drone apps with this new API, and also mobile applications and applications, which run right on the drone itself. This service extracts away all of the hard parts of creating flight-control software and enable developers to write single-purpose applications for the drones, in case of search & rescue apps as well as agricultural surveys and to film other personal occasions, such as filming your basketball practice sessions. This offers a flexible & open-source API in Python, known as DroneKit. Its SDK can be used to develop quadcopter apps that can be executed from the onboard computer and it can communicate with the flight controller ArduPilot with low latency link. In the mid of 2018, DJI partnered with Microsoft to create a new drone SDK for the Windows 10 that enables full-flight control & data transfer to Windows 10 PCs, enabling it to connect DJI’s drones straight with Windows computers. Apart from drone control, SDK also allows to easily integrate the third-party hardware such as custom actuators or multispectral sensors with DJI’s drones, thus expanding the horizons for customers for what they can do with their drones. The professionals to create apps for controlling and supervising drone from any given system, be it wearable devices uses this SDK or mobile, that is connected to the quadcopter’s automatic pilot through the standard interface. DJI’s APIs enable DJI developers to create an algorithm that can control the drone with the use of a programming language & for various operating systems. Then comes Parrot SA. Now, this is a French wireless products manufacturer firm specializing in creating flying drones or robots. ‘Parrot AR. Drone’ is a renowned quadcopter from Parrot, which can be controlled by the customized Android or iOS mobile apps for Drone. Then, there is this enhanced version, AR. Drone 2.0, which is upgraded to enhance the drone’s functionality. This one comes with the more sensitive onboard sensors for increased control, better ultrasound altimeter for stable flight, extended battery life and updated Wi-Fi Hardware. Developed by Parrot, this SDK 3.9 is latest & free SDK that is available for the Parrot developers with full documentation. Here, the code can be written for a smartwatch, smartphone, & VR glasses as well. This way, don’t be surprised if the next big Drone app comes from the Parrot developers, using this SDK. Going by this latest market scenario, DJI drone models tend to rule the market at the moment. This Chinese firm is at the forefront of civilian drone industry, and their most prominent product is ‘Phantom’, a series of quadcopters which evolved with the integrated flying system, with a controller, Wi-Fi connectivity, camera, and pilot’s mobile device. These ones for eminent for cinematography, aerial photography apps and also among the hobbyists. Over the year, the Phantom series has evolved from Phantom to Phantom 2, Phantom 2 Vision+, Phantom 3 Professional, Phantom 3 4K & Phantom 4. 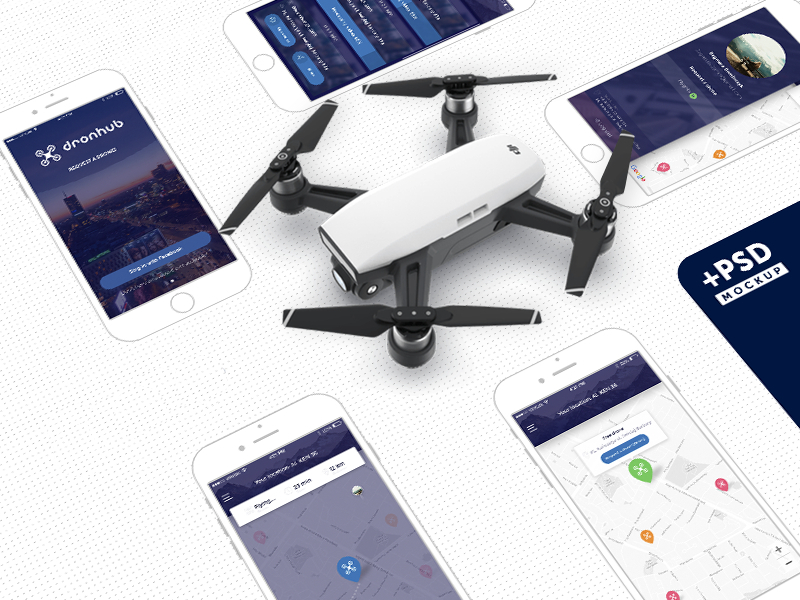 The Drone app market has grown tremendously in the past some time and today it has reached a place where more and more businesses, of varying areas, are using Drone technology are enjoying its endless benefits. 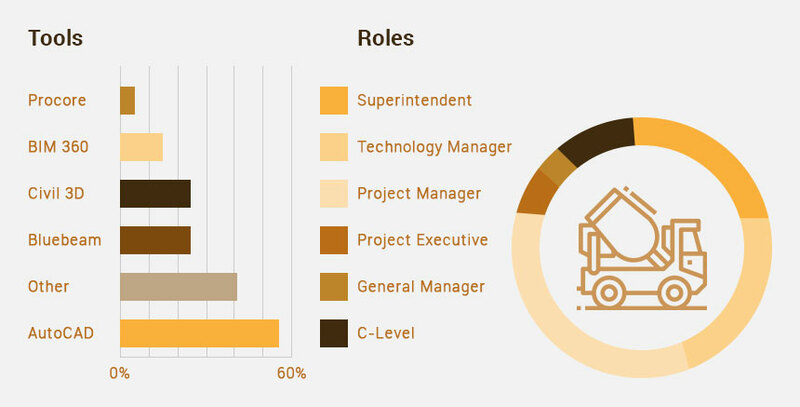 Meanwhile, in order to benefit from Drone technology, one has to once get a Drone mobile app developed, and this is why businesses are seeking drone app developers and drone app development companies all across the world, to get an app created for their business. There are numerous Drone app development companies that offer great services in the arena and are in huge demand. All you have to do is execute research and find a company that best serves your requirements in terms of Drone usage. These businesses are getting mobile apps built for Drones for remarkable experiences in the domain of entertainment, gamification, information display, and business tools, etc. These app development firms use various frameworks to create the app, and one among them is Flyver, which is an Android-based open-source framework. This one facilitates the development of superior quality and intuitive Android applications for Quadcopters. Flyver App Marketplace is also open to being utilized by the development for launching the robust Android Drone mobile applications. Next, the technology that is required to control the drone is creating tools for smart-glasses, which drone pilots can use for monitoring their quadcopter. Apart from Android, there are some of the drone applications from Apple as well, with one being Ground Station. This is one companion app for DJI hardware enabling the developers to use iPad for making their own aircraft stay on the flight course that has been set already in the application. Then is, Drone Dance for AR, which is yet another application enabling your drone to dance through the Parrot hardware. Now as we go through these types of mobile apps created and the platform available, it can be said quite effectively that the drones offer wide-ranging prospects, which are yet to be explored. These Drone apps can work great for various industries, like B2B, as well as B2C services. Intel Drone SDK: This fully assembled development platform combines Intel Aero Computer Board and Intel Aero Vision Accessory Kit, with Intel Aero Flight Controller, airframe, compass, GPS, transmitter, receiver, motors, and ESCs. It just needs a charged battery to begin flying. 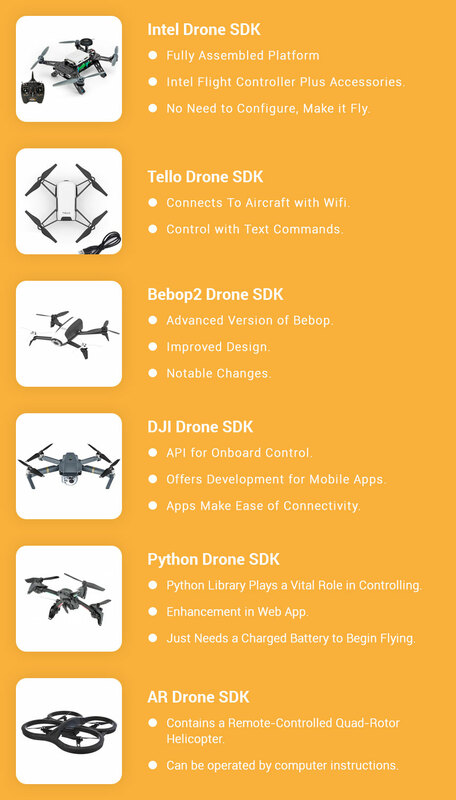 Tello Drone SDK: This SDK connects to aircraft through this Wi-Fi UDP port, thus enabling the users to control the drone with text commands. Bebop2 Drone SDK: Bebop2 is the advanced version of Bebop and is based on the same architecture as Bebop with few noteworthy changes. 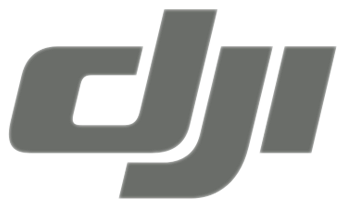 DJI Drone SDK: DJI provides an API for the onboard control system and then offer another for development of mobile apps connected to drone. Python Drone SDK: The Python library help drone in revolutionizing the enhancement over the web app for a computer with a connected controller. AR Drone SDK: AR Drone SDK-powered remote-controlled quad-rotor helicopter is operated by computer instruction. 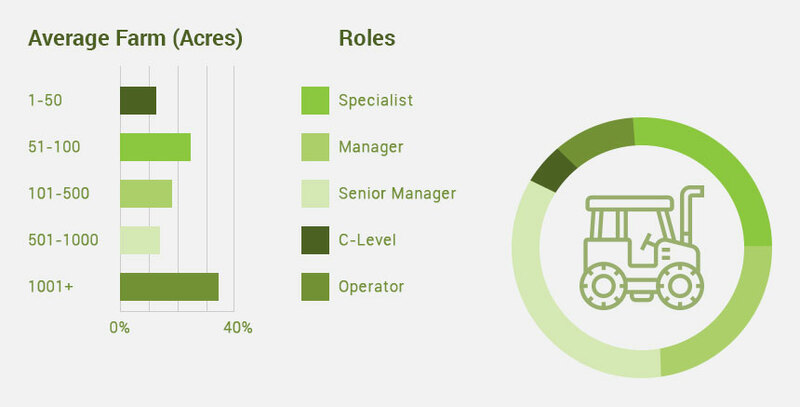 Dronecode: This platform consists of everything that is required for a complete UAV solution: ground control station, autopilot software, flight-controller hardware, and developer APIs for the advanced/enhanced use cases. The use of this platform ensures that all that is required to a complete drone solution is delivered in a product that is well-tested, well-integrated, consistently licensed and easily modifiable. QGroundControl: This open-source platform provides full-flight control & mission planning for any of the MAVLink-enabled drones. This provides the configuration for the ArduPilot or for the PX4 Pro-powered vehicles. It is easy to use both for first-time users as well as professional users. As all code is open-source, hence it can be evolved as required and desired. Ardu Pilot: This is a fully featured, highly advanced and a trusted open-source available to the developers. This is a sole autopilot software that is capable to control any vehicle system, be it multi rotors, helicopters or conventional aeroplanes. Now it is expanded to feature support for the evolving vehicle types, like compound helicopters and quad-planes. Mav Link: This extremely lightweight messaging protocol comes useful to communicate with drones and also between the onboard drone components. Launched by Lorenz Meir in early 2009, MAV Link today enjoys a significant number of contributors. PX4: This open-source flight control software comes useful for drones as well as other unmanned vehicles. This project offers flexible tools for drone developers to share technologies so that customized solutions can be created for drone apps. PX4 offers a standard in order to deliver the drone hardware support & software stack that enables an ecosystem to create & maintain hardware & software in a scalable manner. Drone systems have been a game-changer in a million of ways, for instance, today with Drones & other UAVs (Unmanned Aerial Vehicles) it is now possible to people to see places, which were earlier impossible to view. This way, it opens new doors to unexplored adventures and prospects for the businesses. Meanwhile, the very basis of these conventional UAVs is the system running real-time flight control & stabilization on a microprocessor or microcontroller system. Designs nowadays tend to employ single MCU on a low-cost system, whereas more sophisticated system tend to use multi-core redundant & heterogeneous processing capability. Meanwhile, it needs to be ensured that microcontrollers used for drones are optimized for efficiency, performance and meets strict security demands. An integrated flight controller comes incorporated with a horde of position and motion sensors that usually is the primary source of feedback or may act as the redundant sensors in the situation when other systems are reporting contradictory information. There are well firms dealing with Drone hardware and sensors that provide a diverse set of vital sensors consisting of pressure sensors, magnetometers, gyroscopes and micro-machined accelerometers helping the Unmanned Aerial Systems (UAS) to interpret & navigate their environments. Next comes the most crucial aspect of developing a Drone mobile application, i.e. the cost. How much will it cost to create a Drone-controlling mobile application? Now, here the most important aspect tends to be the region where you choose to get the app developed. 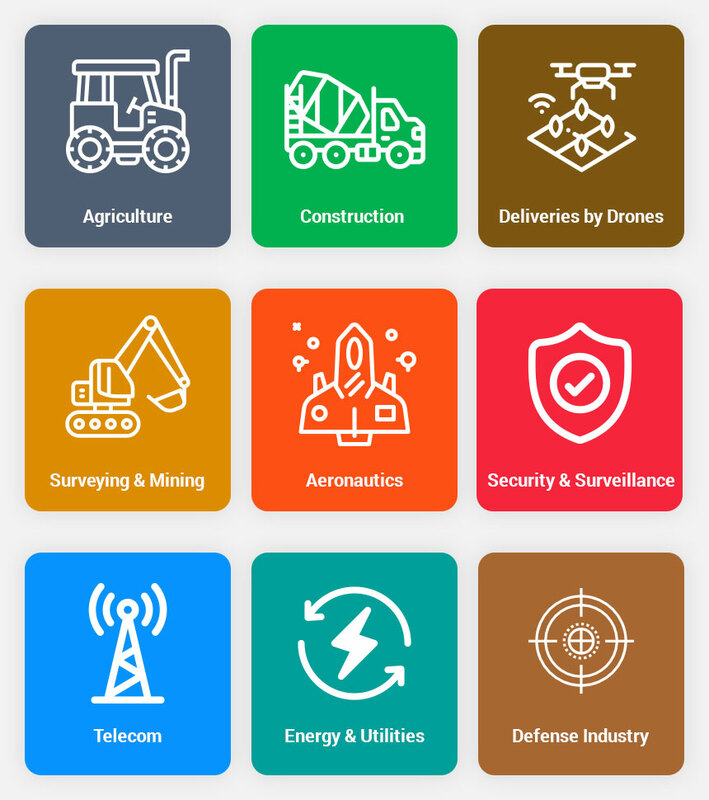 Usually, the development rates are higher in the USA, & Europe, however, if you choose to get the Drone mobile app developed in India, then you can get a quality and feature-rich app at a much lesser price as compared to other regions. So, if you desire to develop an app integrated with basic features, then the cost would be reasonable, however, if you choose to incorporate the app with advanced features, then this leads to higher cost and superior quality app as well. Then, for the platforms: for the single platform, the cost would be lesser; however, if you choose to create the app for multiple features, then the cost would certainly increase as well. Hope, this comprehensive guide proves helpful in the creation of a Drone-based mobile app!